Dover secure National League survival after scoring three goals in the final 17 minutes to beat Barrow 3-2. 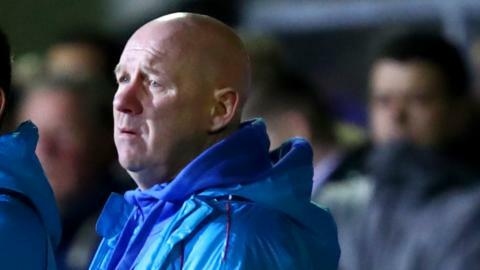 Dagenham close to within a win of National League survival with a goalless draw at home to Barrow. Boreham Wood move nine points clear of the National League relegation places with victory at mid-table Barrow. He is swapping the penalty box for the wrestling ring. Will there be a shock in the FA Cup third round? Read more on Will there be a shock in the FA Cup third round?